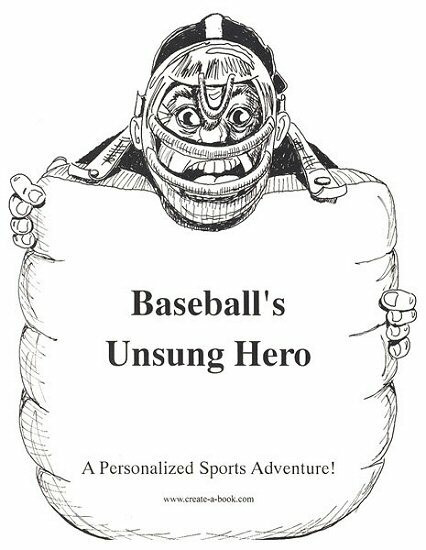 Created with older kids (teens) and adults in mind, Baseball's Unsung Hero is a comical personalized story that all armchair athletes will enjoy. Filled with sarcasm and humor, your favorite baseball fan becomes the star of the story and plays in the World Series. 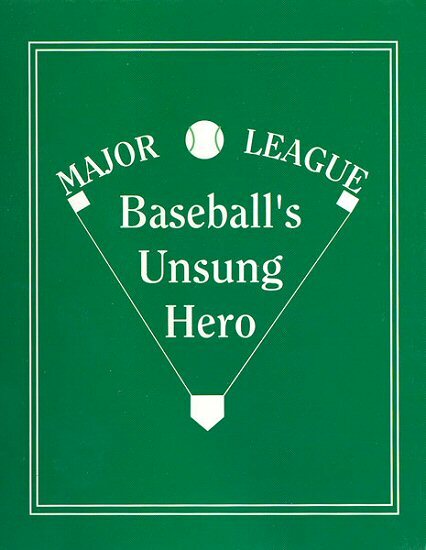 While they are able to pull off the big save, this book becomes the only "proof" that they should be a baseball legend. So, if your #1 baseball fan is better at talking the game than playing it, Baseball's Unsung Hero is the perfect novelty gift. (First & Last Name) had a list of chores a mile long. However, it didn't matter because the (baseball team) were playing in the final game of the World Series. The series was tied three games each, and (he) decided that (his) chores could wait a few hours. 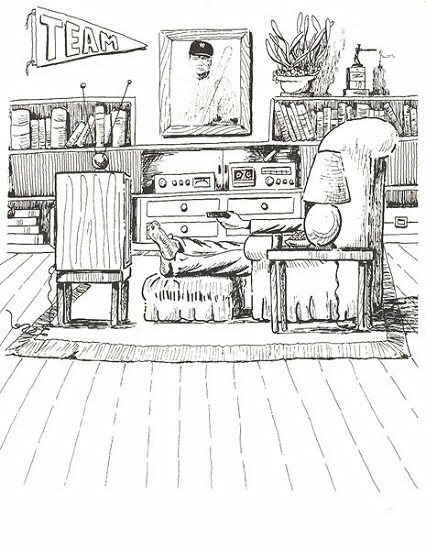 (First Name) grabbed the remote control, a bowl of chips, and a (beverage) and made (himself) comfortable in (his) favorite chair. (First Name) noticed that the players had been out on the field for an awfully long warm up, and the pitching coach was going crazy about something down in the dugout. Then, the announcer broadcast the news that the pitcher of the (baseball team) had just thrown out his arm. The cameras followed the coach as he paced frantically inside the dugout. At one end of the dugout was a red wall phone. The coach reached it and started dialing. The cameras zoomed in. The announcer correctly guessed that the coach was calling in his back-up pitcher. That's when (First Name)'s phone started to ring! (First Name) answered the phone. "This is the coach! Come over here right away. You're going to pitch the game today," said the coach of the (baseball team). The coach hung up before (First Name) could ask any questions. "Wow!" (First Name) thought, "This must be a dream!" (First Name) packed (his) gear and spikes and headed for the door. (He) thought, "Wait until I tell (Friends) about this!" 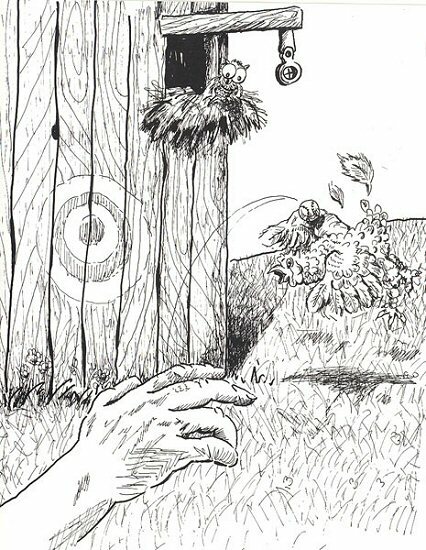 (First Name) stopped on (his) way to the car to pitch a few balls at the bulls-eye painted on the broad side of the barn. After a few balls got away from (him), (First Name) decided to pack it in and head for the park just a couple of blocks away. It'll come back to me once I'm in the game, so there's no need to warm up now, (he) thought. Once (First Name) arrived at the staduim, (he) entered through the back entrance, went into the locker-room, and dressed for the game. 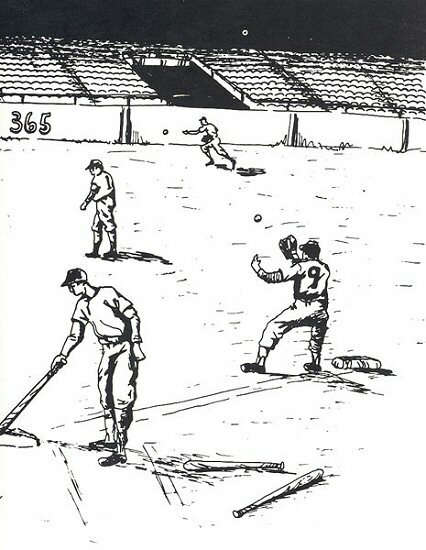 When (he) stepped into the stadium, (he) could hear the umpire call, "Play Ball!" The crowd cheered. Walking over to (First Name), the coach had the look of death about him as he asked "WHO ARE YOU?" "I'm (First & Last Name)," said (First Name). "You called (phone number), and I answered your call to the mound." "I can't believe this," said the coach, "This must be the lowest day in baseball. I thought I called our best pitcher on the disabled list who was to be discharged from the hospital this morning. I dialed (phone number - one number off), and who do I get but you! If we don't start the game immediately, we will have to forfeit. 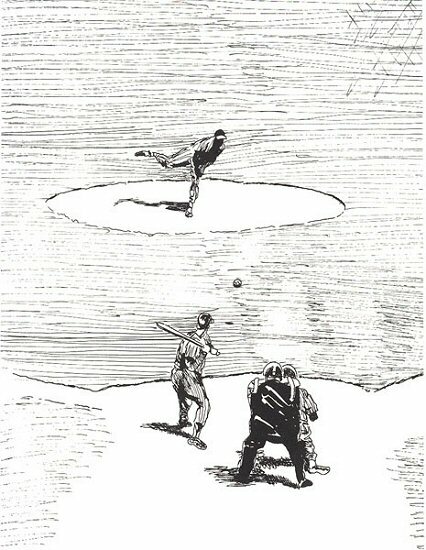 Walk quickly now to the mound and start throwing," the coach ordered. "We will just have to win this one on batting." 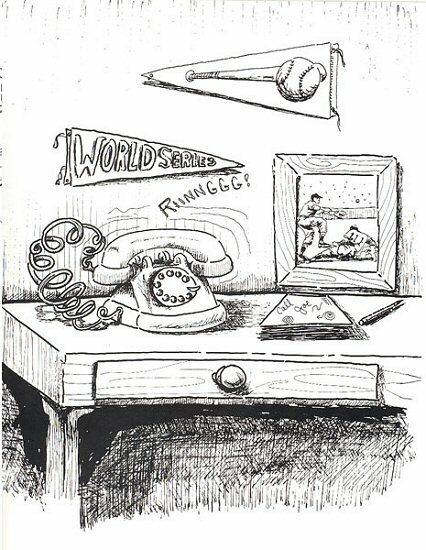 The announcer checked his notes and reported, "Pitching the final game of the (year) World Series for the (baseball team) will be (First & Last Name)." 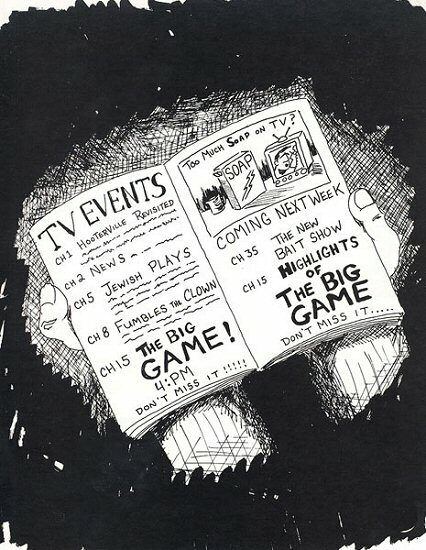 The announcer's words echoed throughout the stadium and into millions of homes on millions of TV's. Everyone in (Hometown) was stunned. (First Name) walked to the mound. The crowd was silent. The first inning was beginning. Back in (Hometown), (Friends) picked up the TV Guide and read the notice for today's game. The room was filled with baseball fans who were grabbing their drinks and chips and thinking about the sure bets they had made on the (baseball team). While turning on the set and settling into the furniture, (Friends) thought that the name (Last Name) was spoken while the volume was coming on. Then, the picture became clear. Shock filled the room. (First Name) was on the mound! Popcorn flew everywhere, and one observer in the group pounded his (beverage) can against his forehead. All of the fans knew that their investments were lost, and their bets wiped out. They had been done in by their very own (First & Last Name). The announcer called the plays... "(First Name) is winding up for another pitch... crack... fly ball to center, number 18 is coming up for the catch... that's one out." The next batter came to bat. "(First Name & Last Name) pitches again... crack... this batter grounds to first, and the first baseman makes an easy out." Now (First Name) was getting confident. The crowd was warming up. (Friends) hadn't moved a muscle or spoken a word since the first pitch. "And now (First Name & Last Name) is winding up... the pitch... crack!... high fly to left aaaannnnndddd, yes, the outfielder catches the easy pop fly to retire the side." The crowd actually began to cheer. When the(baseball team) came to bat, they put up a gallant fight. The first batter hit the ball hard to the third baseman. The play was made, and the throw to first was unbelievable. Even the replay showed it was a dead heat, but the umpire called the runner out. The second batter pounded the ball to the wall, but the outfielder caught it as he crashed into the wall for the second out. The third batter struck out. This series was being played in the field, and defense was going to be the deciding factor. Innings two, three, and four went three up and three down for each side. The crowd was getting restless. In the top of the fifth, (First Name) allowed a double and a single. Then a wild pitch sent the runner on third home. One to nothing. (First Name) was demoralized. Another single put men on first and third with no outs. Then, another wild pitch sent the runners to third and home. Two to nothing. (First Name) walked the next two batters. The bases were loaded. (First Name) was getting tired. A slow pitch over the plate allowed the batter to hit a hot smash to second with one bounce. The man on third went home, while the second baseman forced the double play between second and first. Now it was three to nothing with a runner at third with two outs. A wild pitch sent the runner at third to home, but the catcher recovered the ball. He threw it to (First Name) at the plate and retired the inning when the tag was made. (First Name) was a mess. The coach told (First Name) to settle down. "Just throw the ball over the plate, and let the fielders do the rest," he said. The next three innings were played quickly, and neither side made any runs. At the top of the ninth, (First Name) could barely send the ball the distance. Two balls were grounded out to the shortstop. The third batter pounded the ball foul into deep right field, where the right fielder made the catch to retire the side. The score was still three to nothing, and the (baseball team) would now have their final time at bat. This was it. The sun was setting, the air was cool, and the fans were getting hot. The lights were now coming on as the final game of the World Series was down to its last inning. The (baseball team) were down by three runs in the bottom of the ninth. The first batter struck out. The pitcher was throwing hard fast balls. The second batter struck out. The third batter was up... WALK! Their last pitcher was burned out. He was all over the place with his pitches. The crowd went wild. The next batter was up... WALK! Then the next batter... WALK! The bases were loaded! With two outs in the bottom of the ninth, here came (First Name & Last Name) to bat! The crowd let out a groan! (First Name) was beginning to feel a little rejected. (He) took a deep breath and stepped up to the plate. "STRIKE ONE!!" yelled the umpire. (First Name) didn't even see that one leave the pitcher's hand. (He) stepped out of the box looking for a signal from the third base coach; it was to hit away. As the next pitch was released, (First Name) started his swing. "STRIKE TWO!!" yelled the umpire. (First Name) was beginning to get a little concerned. O and two was the count, two outs, down by three, and three men on. "This is it," thought (First Name), as the next pitch came in low and outside. A deadly silence filled the stadium. (First Name) swung the bat... CRACK! It was gone! That ball left the park with the skin torn half off of it. (First Name & Last Name) had pounded out a Grand Slam to win the series for the (baseball team) in the final inning. As the team accepted victory, (beverage) was being poured. (First Name) got out of (his) uniform, went out the back way, and hurried home in time to watch the post-game show on TV. (First Name) never returned to baseball and years later most everyone had forgotten (his) name. It's a pity. (He) didn't even have a contract. This book is the last remaining evidence that (First Name) was truly a hero that day back in (year). If you ask people who (First Name & Last Name) is, they will tell you they have never heard of (him). 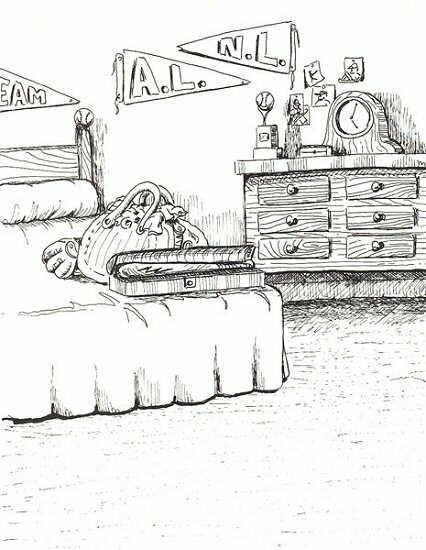 This is more sad proof that (he) has become "Baseball's Unsung Hero!" This fun Baseball Glove fabric wall art is a wonderful addition to any sports room, baseball fan's ultimate hideout, or sports theme. The Hockey Hero is an exciting personalized children's book in which your child is the star and takes to the ice with their favorite hockey team.